A lover of the Arts, Ms Jervis enjoyed reading for a diploma and then a Degree in Communication Studies since communicating is something she holds dear. Ms Jervis is also the holder of a Commonwealth Master of Business Administration Degree. She gained training in tele-communications and gained practice in the fields of teaching at the secondary level and Public Relations prior to working at the University of Guyana. 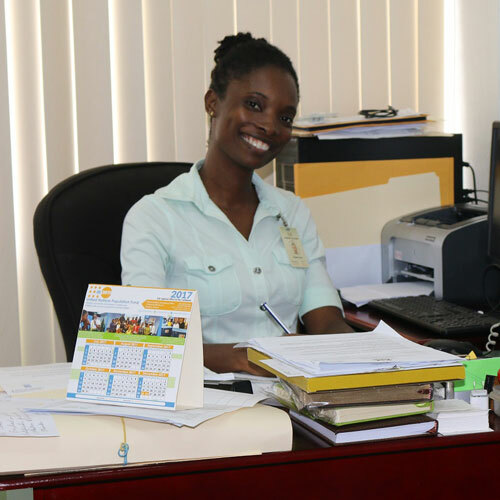 Ms Jervis is the Administrative Officer in the Office of the Vice-Chancellor who likes snacking and enjoys walking as a form of exercise as well as recreation. Her tasks include managing the Vice-Chancellor's schedule, which can often become quite hectic, and coordinating various appointments and activities on his behalf. Employed for four and a half years at the University, she has had an enjoyable journey so far and looks forward to more successful years at the country's premiere educational institution.